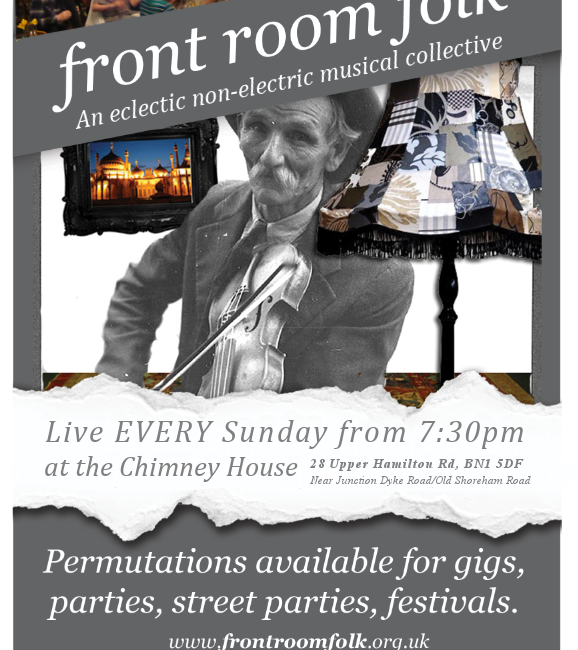 Every Sunday evening the Chimney House is transformed by the live folk tunes from Front Room Folk. From 7.30pm – 11pm, Its the perfect setting to meet up with friends with a bottle of wine or relax over a pint on your own. Front room folk have been playing here for over two years now and they play a mixture of traditional British and european folk music. If you are a musician yourself you could even bring an instrument and join in too! Here you can see them in action and hope to see you soon!